Without insurance or limited insurance with high copays, the cost of a new CPAP machine can be so prohibitive that some people will buy used ones. However, the problem with this solution is navigating through all the different websites and trying to find a CPAP which is safe and works right. There are companies which offer discounts on CPAP models which are older and not used, but there can be problems with this because parts and supplies may no longer be manufactured for the machines. If this important life-saving machine has limited, or no value, in either case, there is no deal at all. If a person who is looking for a used CPAP, they will need to know what to look for when buying one. To do this, the buyer will need to know if the place offering CPAP machines is reliable. 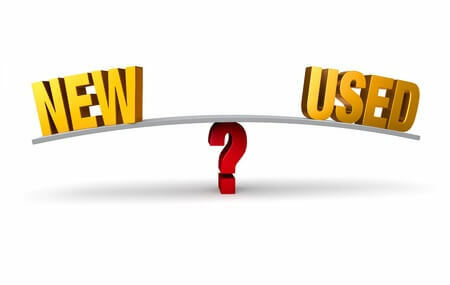 Also, the person will have to know the cost of used versus new machines, so the buyer can gauge the value of the machine that they’re interested in. Also, it’s important to consider the advantages and disadvantages of buying a used CPAP. What to look for when shopping for a used CPAP? There are several reasons why a person would shop around for a used CPAP. If a person is renting a CPAP machine from a medical supply company, there are usually out of pocket expenses involved. These lesser charges from renting can add up over time. Therefore, a used CPAP can be an alternative. Additionally, having a used machine as a backup CPAP is something people feel comfortable having in case something happens to the main CPAP. This can be a wise decision if a person suffers from serious sleep apnea. The mask isn’t the only part which is dirty from another person’s usage. The whole CPAP machine has air going through it so that the machine will have picked up bacteria and viruses. This is why a used machine should only be bought from a reliable company. These companies will have tested and cleaned the machines thoroughly before reselling them. Any used machine which is purchased should come with new bacterial/viral filters. These filters are for both the intake port and the outtake port. The intake filter is what filters the air which comes into the machine. The second filter is to back up the first filter so that if something has gotten past the first filter, the second filter will catch it on the way out of the machine and remove it. So, if these old filters are used and still in place, then the person who’s purchasing the machine will be breathing in the last owner’s germs which can be a serious health risk. 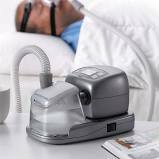 The best places to buy reliable CPAP machines are from online warehouses and stores. These places usually buy machines in bulk so that the savings can be passed onto the buyer. The online store used should have a guarantee with the machine and a checklist of what they inspected on the machine. Also, importantly as an option, some companies that sell new CPAP machines will offer a discount on a new CPAP machine if the person purchasing it trades in the old one. In addition, Home Healthcare stores usually carry CPAP machines as well as other stores within insurance carrier networks. These stores will carry used CPAP machines that meet the sterilization qualifications. A few places where a CPAP shouldn’t be purchased are on Craigslist, eBay and Amazon. Don’t buy one at a garage sale either. These machines have no guarantee that they have been properly cleaned or sterilized. Additionally, if the machine isn’t properly sterilized, then there is a possibility of the machine being contaminated with viral or bacterial respiratory infections. These infections could include: pneumonia, bronchitis or tuberculosis. Also, if the person who originally owned the machine had an infestation of cockroaches or bedbugs in the home, those pests could have contaminated the equipment. Borrowing a friend or relative’s CPAP machine isn’t a good idea either- as appealing as it may be. It may have only been used a few times and the person is healthy and a relative. This is the wrong kind of thinking for many reasons. Borrowing a machine, whether a relative or not, can be taking a chance of contracting the risk of infection. Also, the therapy is set up for that person, not the person borrowing it. This could be detrimental to the health of the borrower. Using CPAP equipment which is sterilized and up to date and prescribed only for the person on the prescription is the safest way to go. When a person buys a new CPAP machine, the initial cost is more than just the machine. 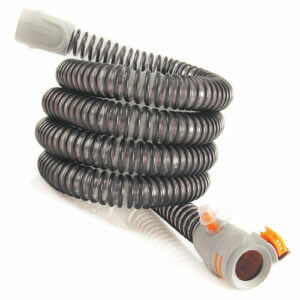 The purchase also includes the humidifier, face or nasal masks, heater hoses, and filters. With all of this, a new CPAP machine and setup usually costs between $1,500 and $3,500 without insurance. In addition, the cost of a CPAP depends upon what the model and make of the machine is, as well as its features. A machine purchased through insurance outright and through an in-network DME provider could also offer discounts which would lower the cost.With insurance, the CPAP tubing, masks, and other accessories may be covered too. Pricing for used CPAP machines may range from $291 to $700 depending on who is selling them. Most of these, at this price, don’t come with guarantees or warranties. Reputable companies, however, will sell used CPAP machines with a guarantee and still at a price lower than a new one. They will always ask for a prescription. What are the advantages and disadvantages of buying a used CPAP? If a person needs to buy a machine and doesn’t have insurance, then buying a used CPAP machine is less expensive. If the person is a traveler, then buying a used CPAP machine for traveling would make sense. Since it could be stolen or lost by an airline, while away from home, it makes perfect sense for a person who travels frequently to have two. Also, when buying a used CPAP online, there may be a larger variety of choices, prices, and options for specific needs that insurance won’t cover. In addition, customer reviews can be handy when deciding on what type to buy and what another person thought of the products bought from a company. There are also disadvantages to buying a used machine online. If the person has bought the machine from a company which is not reputable, unsanitary products may be shipped. The product may not have been tested and may not work properly. Another problem is that if the machine is an older model, there may not be replacement parts available it if breaks down. Replacement filters, which are very important to the usage of the machine, may no longer be made or available for purchase. 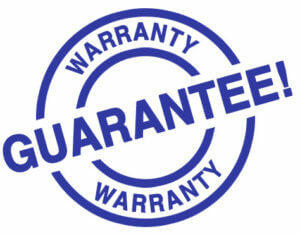 In addition, the original warranty may be voided and there may not be a guarantee of functionality. It’s possible that the CPAP could run fine when it’s purchased and then break down a week later. Additionally, if the person doesn’t have a prescription for the machine, then the pressure settings can’t be adjusted by a professional. These filters are made out of foam and can be reused. They need to be washed at least once a week as well as checked for wear and tear. Warm soapy water can be used, and they need to be rinsed well to remove all soap traces. Lay it flat to dry it, and then replace it back into the CPAP machine when it is dry. 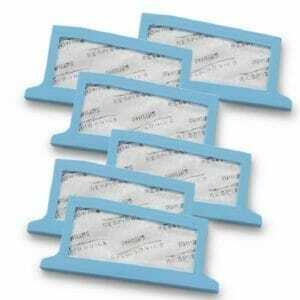 These filters are excellent for removing dirt, pet hair and pollen from the air in the room. They will require more maintenance than disposable filters. These filters are made from a material which is paper-like. It’s electrostatically charged which allows them to attract floating particles out of the air to keep them out of the CPAP machine. They need to be replaced when they become discolored or every 30 days. If the environment is a dusty one, they may need to be changed more often. Deciding on whether to buy a used or a new CPAP is a personal and monetary choice. Also, if lack of money is a problem, then American Sleep Apnea Association’s CPCP Assistance Program may be of able to help with the cost. Be sure to research your used purchase ahead of time and even consult with a doctor on how to go about purchasing a used CPAP machine. Next post: Will Losing Weight Help to Stop My Snoring or OSA? Previous post: ZenGuard by ZenSleep Product Review – How Does The Zen Guard Compare?